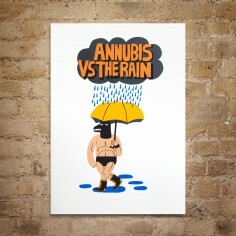 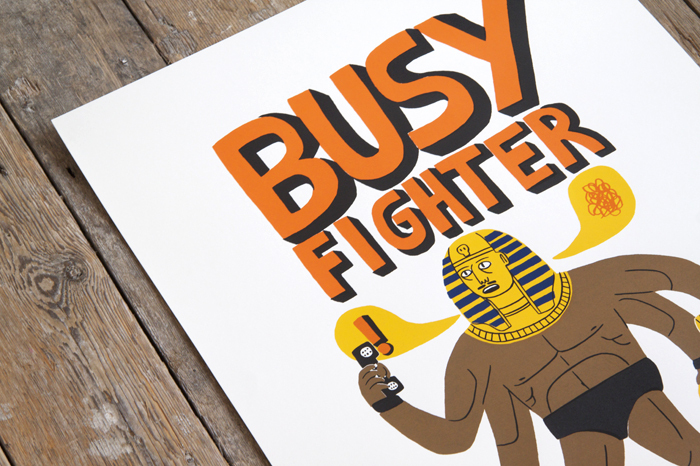 Busy Fighter and Annubis vs The Rain originally appeared as Jack’s business card designs just after leaving college, but they were such great images we had to turn them into prints. 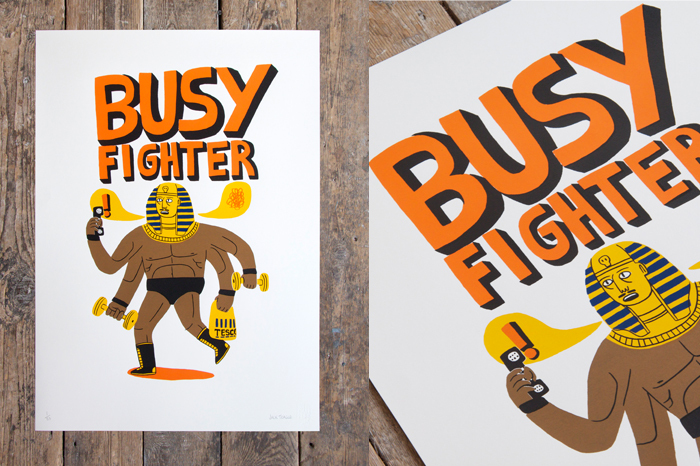 In the nick of time they were released before the launch of the D&D show at our Gallery/Shop on Great Eastern Street and we have only just had the time to photograph them for the website. 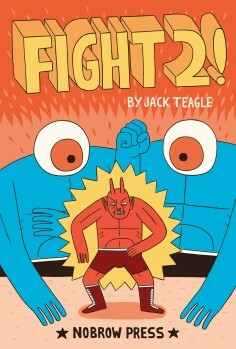 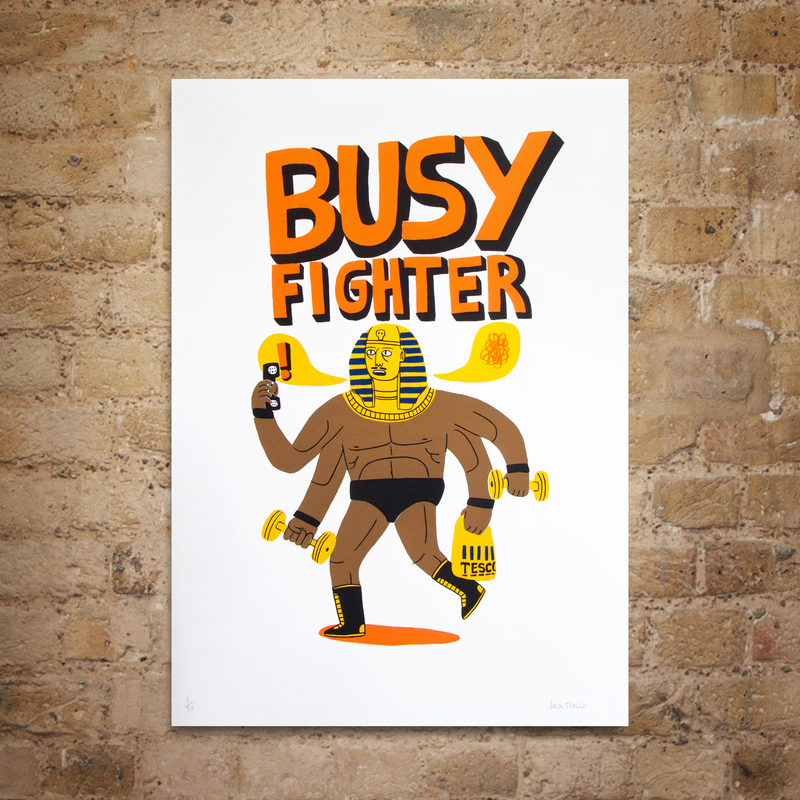 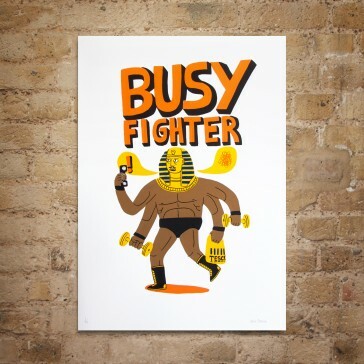 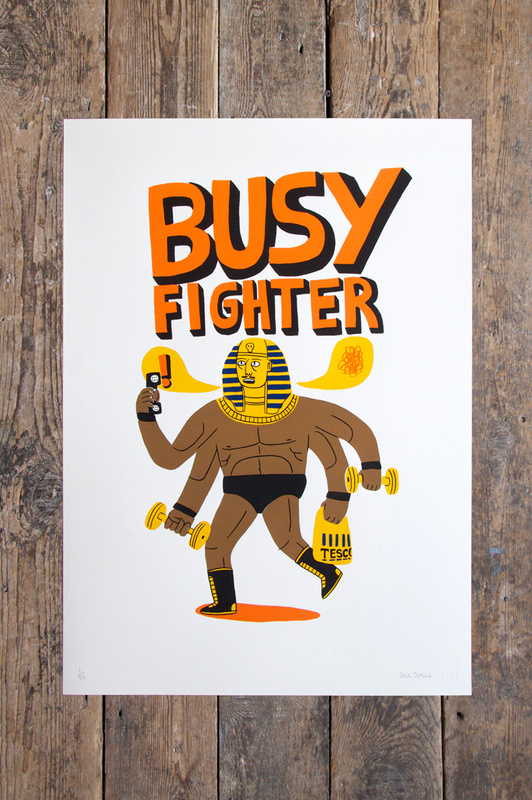 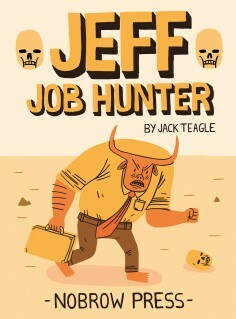 Busy Fighter is the print for all of you grocery shoppers who have felt the journey carrying those two tonne tesco bags to be a veritable superhuman feat, it is an SRA2 (450×640 mm), 5 colour screen-print in a limited edition of just 50 copies.